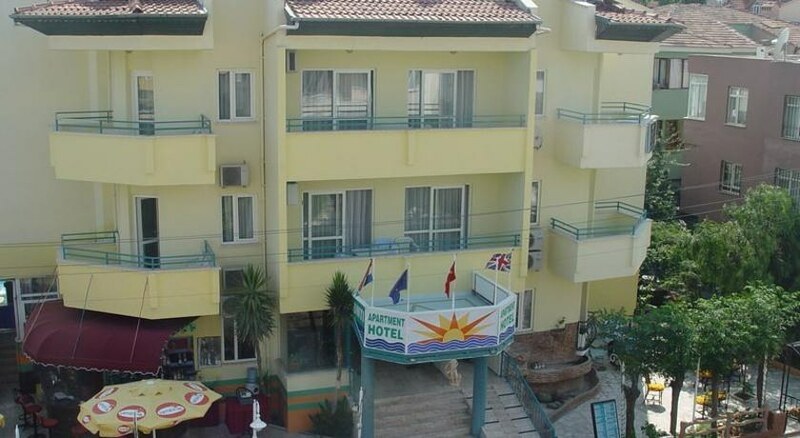 Interconti Apart Hotel is located 250 metres from the beach and 500 metres from Marmaris centre. It features an outdoor pool with sun loungers and free Wi-Fi in public areas. 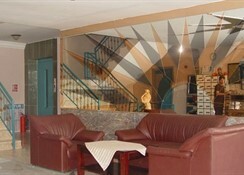 Each apartment is simply furnished and air conditioned. 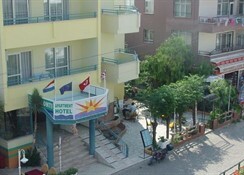 All have a balcony overlooking Marmaris and a kitchenette with cutlery. Turkish cuisine is offered in the à la carte restaurant. Guests can enjoy theme nights and evening entertainment at the bar. Staff is available 24 hours a day at the front desk. Free parking is available on site and Marmaris Marina is a 10-minute drive away. The Interconti Apartments are a well run, family establishment with a friendly and relaxed atmosphere. Close to bars clubs and restaurants, the apartments are an ideal base from which to explore the lively resort of Marmaris.